Winter has set in and I am now counting the weeks until the Solstice and the gradual return of light. In the dark evenings I burn candles to cheer our hearts, cosy up with a blanket and find I am craving chocolate! 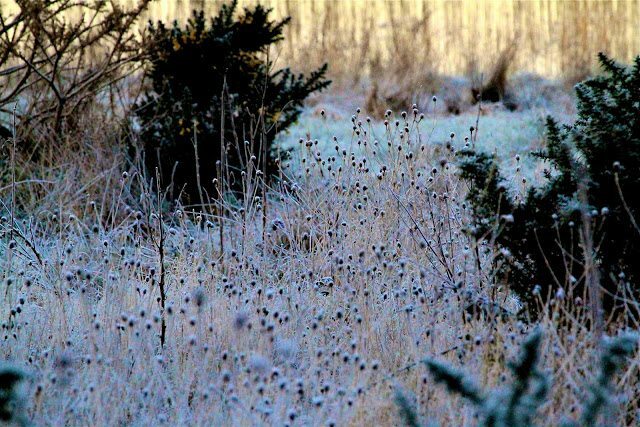 On waking, I love the silvery glow and a particular kind of stillness that announces another frosty morning. Blue sky icy days have me leaping out of bed, and I am by no means a morning person! Meanwhile if you fancy a bit of Christmas gift browsing check out the Seasonal Greeting Cards and the Print Gallery all delivered anywhere in the world! One or two people have had problems accessing the PayPal page so if this happens to you please contact me as I can offer another payment method. Thanks to all of you who have sent me photos of the prints, framed and in your homes. I will make a collage and post on Facebook. Keep them coming! 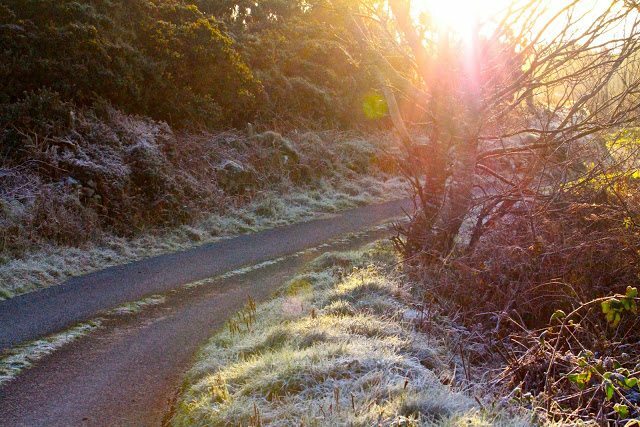 Amazing frost, we've nothing like it in Dublin! Amazing shots. There was some frost here this morning but also a lot of sun so it disappeared rather quickly. The sunshine was much appreciated after all the rain we've had. What a beautiful frosty morning and amazing photos made of it. We have not had any frost over here in the Netherlands but we shall wait and see one of these days I hope I love the cold in the air! 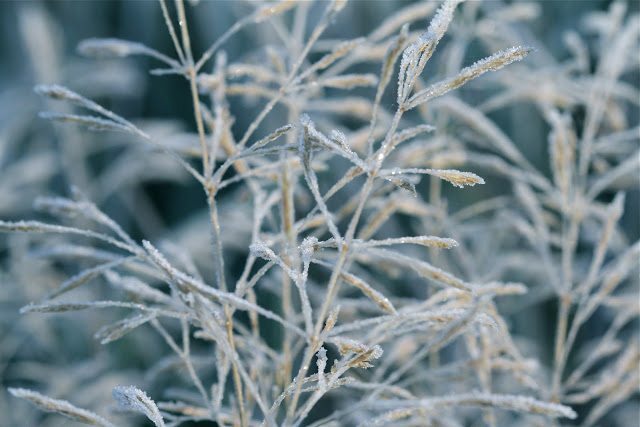 Gorgeous images of a lovely frosty morning … we've barely had a frost, possibly a good thing as when we do it will be sheets of ice everywhere with all the rain we've had. I loveyour pictures of the frost. I tlooks so magical, I'm sure we will have some soon the temperature is falling. I am sitting typing with a candle beside me ,they do add warmth and cheer to these dark nights. Such beauty and depth – I read you first few opening lines and thought 'gosh that's me!' – I really need the frost elves to work a bit of magic here – it all looks so very enchanting at this time of year when all glitters. It almost makes the darker days that bit more bearable. These icy blue morning captures are fabulous!! Love, love, love! I love frosty morns as well….we are having some snow covered morns here too. I am also counting the days to the solstice and celebrating this coming season of winter…. Wow, what gorgeous pictures! I love the first one – amazing! We have finally had a good frost here, and I find that despite the heaters I am having trouble getting warm! Need some hot chocolate! I'm waiting for the Solstice too… It's just that time of year… Beautiful pictures. Magic. You always capture such gorgeousness. Hmmm, somehow I missed the word about your new adventure. Good to know, you have a real nack for nature photography. What exquisitely beautiful winter images!! 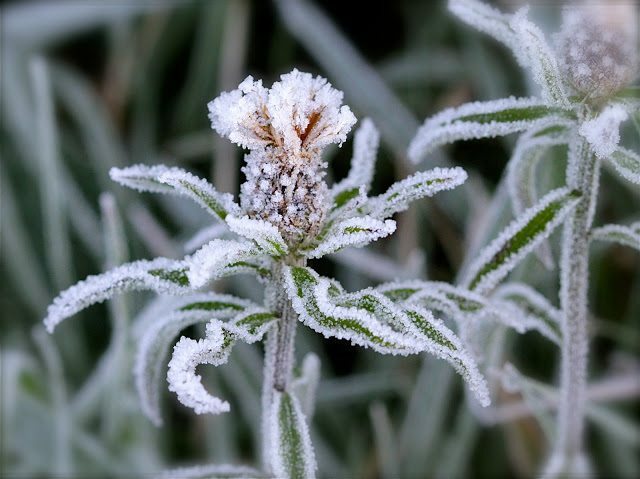 I'm one who loves winter – both for its icey coolness…and for the excuse to hiberate. Love that you have an online store..and that you're selling. Inspiring – yes! I have found that nothing dispels the winter blue than creating. I'm looking forward to see what new creations you have in store for us. I love the first photo! Well seen and composed. Elves and photographers about in the frosty dawn. A lovely set of images Catherine – not too many and each one an individual triumph. beautiful photos you have really captured the beauty of this time of year ! I am really looking forward to Christmas this year and ready to start a fresh new year…continued success to you and your elves ! So pleased to know that your business is evolving alongside your garden.